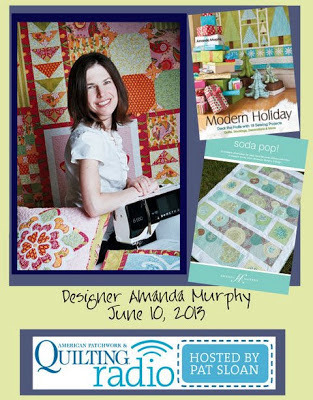 Amanda Murphy Design: Pat Sloan's American Patchwork and Quilting Radio Show! Pat Sloan's American Patchwork and Quilting Radio Show! Guess what? I'm going to be on Pat Sloan's American Patchwork and Quilting radio show this Monday, June 10th at 4 pm eastern! 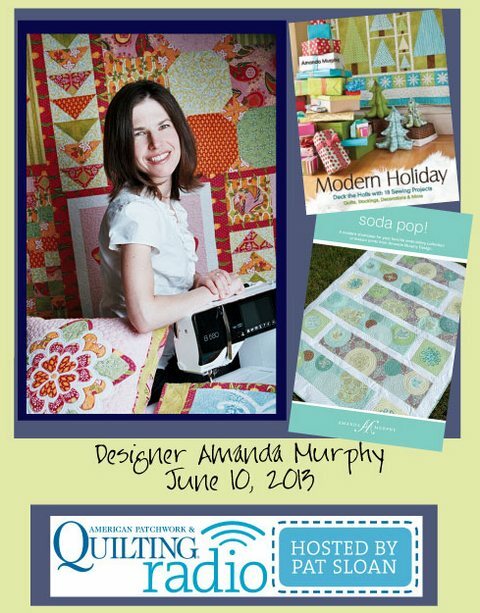 I'll be chatting about fabric design, quilting, and Modern Holiday. The show is at 4 eastern time, but you can also listen to it with podcast form. (I usually listen to episodes while I quilt.) Hop on over to tune in!